When your roof needs some serious T.L.C., to whom do you turn to keep out the rain, sleet and snow? Often, the market can feel flooded with roofers that all want to work for you. How can you tell who are the best and who are the rest? It’s important to keep certain things in mind when choosing a roofing contractor to ensure you get your money’s worth. One of the most telling signs that a contractor is reputable is if they pay attention to your needs. This means they answer all your questions, calls and emails promptly and without complaint or attitude. Have you discussed payment, how long the job will take or how many strangers will be on your property? Are these answers in writing? If you contractor isn’t being open with you, then be sure to bring it up. Contractors who refuse to get the job details in writing may have questionable intentions. If you’re ever not entirely satisfied with the answers you receive it’s best to walk away, because there are a lot of good contractors out there who will show you the respect you deserve. Before your contractor is on your roof with a tool in hand, make sure you request to see their insurance and certifications. Workers’ compensation and liability insurance will ensure you are not held financially responsible for any injuries that result from the job, which is a must when working with roofing contractors. This insurance also keeps the contractor pool honest and fair. Only roofers who are really serious about the business are going to invest in insurance and go through the hassle of licensing and certification. Ask around! Your friends, family and neighbors are sure to have heard of or received work from a roofing contractor. These experiences are extremely helpful when deciding who should repair your roof. Having a positive local reputation means the contractor can rely on word-of-mouth leads instead of marketing, which is why the smart ones put an emphasis on customer satisfaction. Doing a great job becomes beneficial! Beware of contractors who knock on your door because they were “just in the neighborhood” or don’t seem to have much of an established presence in your community. These contractors can easily do a shoddy job and disappear. In contracting, you get what you pay for. If you choose the cheapest quote for your roof repair, or choose a contractor who says they will engage in what amounts to insurance fraud by ‘eating' your deductible, it’s likely they’re not going to do the type of job you deserve. 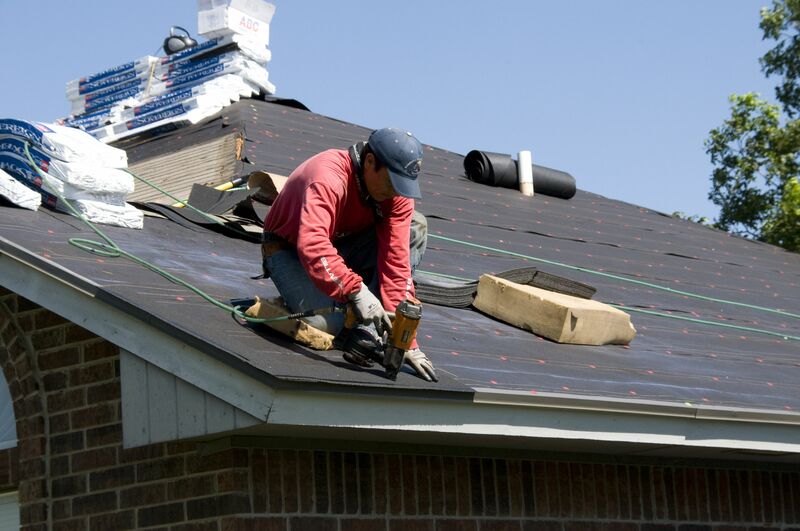 In the end contractors looking to play the deductible game will likely cut corners to make up the difference in the one place that impacts you the most - what they install on your roof. Choosing a contractor with a higher quote but a proven reputation and hundreds of happy customers can help ensure that they possess the proper credentials and do a better job overall. When it comes to your home’s upkeep, don’t trust just anyone. Make sure your contractors are trustworthy and qualified. For a free quote on your next roof repair or full replacement, contact Aspenmark Roofing and Solar or call 214-823-7663.